All Workshop Modules, Foundation and Advanced, are 3 hours each and take place every fortnight on Wednesday evening: 7pm – 10pm BST, UK time. They are the fundamental ‘tools of the trade.’ They incorporate Christian’s life-time knowledge of aspects of our relationship to home and thus aim to create a positive environment resulting in healthy, wealthy and happy people. They cover the essential basics of teaching the skills required for competence in the House Whispering process. A powerful set of awareness tools for valuable personal transformation. All Modules may be taken for qualifying as a House Whispering Consultant or purely for personal development. The practical on-site or online Certification Modules m20, m22, m23 will take place during the day at weekends in order to suit potential clients. Do you feel at home where you live? Did you choose your home’ or did it choose you? An experiential visualisation workshop taking us into deeper levels of awareness of the homes where we live, being a reflection of our ‘inner’ home. A simple yet powerful psychotherapeutic process showing us aspects of our lives and of our soul journey in this lifetime of which we may not have been aware. We will use various transformational tools available, including sacred sound, the gong, drums – forms of vibrational medicine. Do you feel that the house you live in is really yours? Our subconscious beliefs, childhood experiences and past life programming all influence our attitudes and reality towards abundance and financial prosperity. The belief that you are ‘not worth it’ because your mother did not want you whilst in the womb, and your father would have preferred a boy instead of a girl when you were born – these kind of vibrations are encoded in our cellular memory and can shape our lives. Once dissolved through mental deconstruction processes our lives then change for the better. Visualisation Meditation Process – Experience a simple yet powerful and illuminating spatial exploration of your home. Christian will guide us through various Visualisation Meditation processes which allow us to see what is really happening in our home! The process reveals our Inner Home – our sub-conscious programs and beliefs which run our lives. 90% of what controls us is hidden away in the depths of our subconscious mind. The visualisation process helps to reveal the stories which are running in our shadow as we seek with our inner eye the externalised home in which we live. As we travel through our ‘home’ we are actually exploring and revealing our innermost home. Clarity brings us choice to change our actions and beliefs, thus turning our lives around when things just don’t work. The Shadow of inner home – As we travel through our ‘home’ we are actually exploring our ‘inner home’ – the subconscious programs and beliefs which run our lives. Most of what controls us is hidden away in the depths of our subconscious mind. Through our inner eye we reveal the stories which are running in our shadow and are reflected in the external home in which we live. Clarity gives us the choice to change our beliefs and actions. Harmonic Soul Retrieval – Journey through the quantum field of sacred geometry and experience the heart harmonics of the Golden Mean ratio. Unravelling any lost fragments of the ‘heart and soul’ of your inner home. You may be astonished what you find! Soul Purpose – Discover your true relationship to where you live, which is simply an external metaphor for your inner home. Does it resonate with your soul purpose in life? Pandora’s Box – One often thinks of the chaos that may be revealed when Pandora’s Box is opened. Lifting the lid off our subconscious depths will indeed reveal areas of life that we may not wish to address. In taking responsibility for every part of your home, any room that is ignored is a reflection of some aspect of your life that you may be reluctant to look at. There can often be apprehension or fear attached to opening the proverbial Pandora’s Box. When we do not address certain issues in life, constantly finding reasons to put off those things we know need dealing with, this will manifest as some kind of externalised expression in the place where we live. So, if a particular secret is kept secluded in our past, we may find a room in our home that is untidy, cluttered, trashed or even out of bounds, kept locked from the outside world to prevent others from seeing it; perhaps we do not even go in there ourselves. In some instances, entire rooms have been blocked-up, only much later to be discovered as time capsules. Woe betides anyone who should attempt to raise the subject of anything deeply sensitive we may hold in our shadow. By daring to examine any issues kept suppressed in our psyche, the lid comes off and our individuation archetype journey begins. In the Greek mythical story, Pandora was urged not to open the jar (pithos) as it contained all the evils of the world, yet at the bottom lay the magical ingredient, the vital spirit of hope. To free and release the soul of your home can be of great benefit, as it too can suffer. If we are brave enough to step into the unknown, the process that unfolds may be uncomfortable but is guaranteed to be both challenging and life-changing in a good way. Our invisible programmes, often buried in subconscious depths, have the creative power to manifest in the physical world. Once clearly illuminated, it is possible for us to release our inner fears, giving us the opportunity to live wherever we choose without recreating recurring past patterns. During The Journey Home visualisation, people will often access their inner homes in a very different way than anticipated. With our eyes closed we use different faculties of the mind; the act of engaging with our inner eye helps to detach from familiar patterns of perception, enabling us to view beyond three-dimensional physical reality. A very different picture can emerge of what a person may have thought their home actually entailed, which will be related in some way to their own self-beliefs and filtering systems of the mind. Certain rooms can turn out to have a significant meaning that we may not even have previously been aware of. This may point to a part of us that we do not wish to address; perhaps denial of a certain aspect of our lives or unaware that a certain part of our shadow self even exists. Some people find they cannot even get through their own front door, or instead use the side or back door. Sometimes they end up coming in through the roof or a window, or somehow just appear in a room. On occasions, they cannot get inside the house at all; it will just not let them in! It is very significant indeed when a house refuses to allow a person to enter his or her own home. What aspect of themselves is preventing access to their inner home, to who they truly are, effectively blocking them from finding inner security and peace? Further exploration usually reveals the cause to be some degree of past trauma and sustained fear lodged in the heart. There is also the possibility that an overlay of spirit activity may have its own agenda in trying to prevent a person from entering their house. Only when we begin to recognise what is going on and release the fear and tension that keeps us on hold, can we make informed choices from a place of conscious discernment. We are then in a position to change the less beneficial aspects of patterns that do not serve us. This is especially pertinent in cases of predisposition towards victim or martyr patterning. Unless we take active control, we are likely to become the product of where we live. Victims of our own illusion or delusion perhaps! The clarity of the space in our homes will enable us to embrace a healthier emotional connection within ourselves as well as with others at all levels. When the heart of a house is free from fragmented energies, we can align to our higher purpose. The Alchemy of Space – A fascinating and powerful Experiential Training Day for perceiving and tuning up your inner metaphysical receptors for working with the transformational aspects of Alchemical Space. Understanding the Energy in our Homes – Are you listening to what your house is trying to tell you? Are you living in sacred space? Does your home serve and support you? Is your house holding old patterns or trauma of what has gone on there before? Disturbed Energies – All areas of life can be affected by the disturbance of energies in our spaces. In a holistic approach, we will explore the issues which affect health, wealth and relationships, and look at ways to identify negative energies with an introduction to methods of resolution. Dimensional Realties – You will be taken into the invisible worlds in order to experience and understand how to energetically tune in to the etheric matrix. Learn how programmed codes previously created and running in the matrix may be out of time and current dimension. Codes and Programming – Dissolve and reset energy shields. Re-create codes and programmes with pure intention for highest and best outcome. Etheric Structures – Experience the dynamic power and purpose of sacred geometrical shapes in the etheric structure of molecular space, the Morphic field and consciousness grids of creation. Fragmented Energy Fields – See how the energetic fragmentation of a house will allow spirit and negative energies to get caught up and linger in the energy matrix of the space. If fragmentation of the energy fields is not addressed, this will seriously impact on health and on all other aspects of life. Resolution of Trauma in the Fields – Identify the residual vibrations of former trauma and stress which are retained in the etheric structures of your own energy fields, within buildings and in the land. Find resolution through soul alignment and clearance techniques, including ghosts caught in the vortex. Not for the faint-hearted! Space Clearing – If a space is not ‘clear’ then it can sound like you have cotton wool in your ears. Clear space allows for sharp vibrant ringing and vibration of the molecules in correct alignment. When a space is totally healthy and resonating to sacred geometries, such as the golden mean harmonic, then nothing can hang around in the matrix; any issues cannot hide in the darkest corners of the web of denial! In other words, they are brought out into the open to be faced and dealt with. So if a house, land and people vibrate to natural spatial resonance, there is the possibility of optimum health. Harmonic Alignment – We will explore how to transmute the frequencies of people and their spaces so that the harmonics come into alignment. Through the golden mean ratio of the heart, phase lock techniques shift perceived and dimensional realities – this deals with many issues, both physical and psychic. The Elementals: We will become familiar with the invisible realms of the elementals. That of air, fire, water and earth. Although 4 elements, there is a 5th which is Ether, Akasha, the space which translates the inner organ of mind to the outer elements activated and interpreted through sound and vibration. Getting the balance of these elements right is most important for healthy and prosperous space. Air: The Sylphs – said to be the highest vibration of all the elements moving with the wind. Fire: Salamanders – Holds formation and beauty, shape, name and form (nama rupa in Sanskrit), Fast moving flashes of light, illuminating, transforming and purifying space. Water: The Undines – water holds memory in its geometric structure and this affects the quality and feeling of spaces in a house. Earth: – The Gnomes – looking after the mineral and gem aspects of the earth. TREES We will lean and connect with the subtle realms of how nature communicates through its various physical and etheric structures. A roots of trees for example, connect underground to a vast network of other trees and communicate in a language of their own with fungi and other chemicals – an internet service available without subscription! Gaurdian Trees – Most gardens and areas of land have a guardian tree and each tree has a spirit guardian. Often male and female trees are close to each other both geographically and emotionally. When one is cut down, the other has been known to die. A mother tree holds the knowledge of what is needed for the nourishment of the forest family. We need to protect these trees otherwise the eco-system of a garden or forest may collapse. There is no competition or ‘survival of the fittest’ as in the Darwinian concept. Trees work together for the highest and best of the entire community, a construct that humans could learn much about. WATER Every drop of water in the ocean is connected to all the seas around the earth. So a good vibration set into any drop, however small is enough to resonate through quantum resonance to all water and change its memory to a positive thought. Dowsing is not only about earth energies, geopathic stress and water, but also considers life questions: Health, Wealth, Career, Relationships, etc. Health, Wealth, Career, Relationships etc. 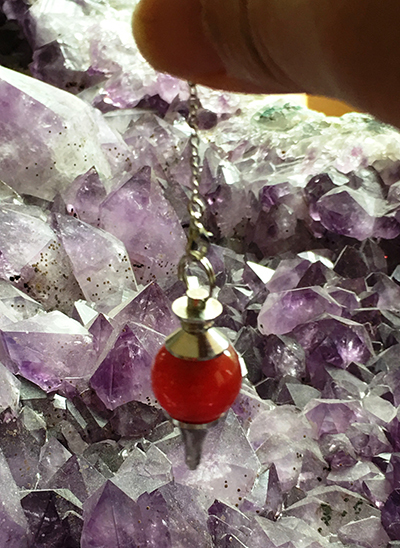 Learn to ask any question of the dowsing rods or pendulum, and get an answer. Christian has been working with dowsing for over 20 years and will share his knowledge and experience with clients, houses and the land. Dowsing is the science and art of reading energies. We will learn the language of our instruments – how to use our bodies, dowsing rods, and a pendulum to enhance our practical and intuitive dowsing skills. We will explore questions such as our relationship with our home and workplace. Our home being a reflection of our ‘inner home’, and consider why we choose to live or work where we do. There is a direct correlation between our environment and our success in life and aspects of this can be measured with dowsing. Content: We will explore, consider, and become familiar with simple yet powerful ways to read the invisible energies in your home and within yourself, and the relationship between them. Become familiar with simple yet powerful ways to read the invisible energies in your home and within yourself from physical to the etheric, and understand the relationship between them. Rods and pendulums that do no behave themselves: when the dowsing rods or pendulums do unexpected moves, it can often confuse. Often the response to a question is that one rod will move and the other stays pointing forwards.We look at the subtle messages which relate to the questions being asked. The left hand is the yin feminine and the right hand is the yang masculine. Fear of Answer: Do we really want to know the answer to the question we are seeking? The term ‘geo’ means earth, and ‘pathic’ from pathos (suffering) is the Greek word for disease, so geopathic literally means ‘dis-ease of the earth’. Geopathic energy is a natural quality and earth dynamic, so not a problem in itself. When buildings are constructed over geopathic areas, the vibrational interaction leads to fragmentation of the energy fields, giving rise to discomfort or stress. For the wellbeing of the land and her people, geopathic energies and electro-magnetic fields should be considered when locating and designing buildings. Simply don’t build over them! Atomic patterns and energy forces surround us all the time in the form of a fine global geometric network, interrelated to the etheric matrix counterpart of geopathic energies inherent in the earth. As with vortexes, various energy lines, leys and earth grids embodied in the land can be harnessed for their positive aspects or avoided owing to detrimental effects. In places where the earth grids and natural energy flows have been disturbed or become fragmented, this again disrupts the land. The resultant interference to our electro-sensitive mental and physio­logical patterning, levels of perception and reasoning, then causes an overload on our systems and our brains go into scramble mode. He will illuminate how geopathic stress, both at physical and metaphysical level, holds the energy matrix of our intentions and karmic ancestral programmes, thus our home can be our greatest healer and guide to life. Identify and feel these swirls or vortexes of energy that some people call chakra points in the land, which vary in intensity, quality and direction of flow. The function of a chakra is akin to a transformer; its purpose is to transpose high vibrational energy from the etheric fields into a lower vibration, compatible with the frequencies of the Earth. The lower harmonic energies can then nourish the physical body, while the higher frequencies activate our higher spiritual centres. Energy is of little value unless it can be harnessed within a frequency bandwidth for a specific purpose. Chakra energy thereby transposes or rearranges itself through interaction with corresponding centres of the human body. Any blockages will prevent the full nourishing cosmic power from being absorbed. This means that the Earth can gift a building an emotion, a positive spin energy charge or chakra point. Sometimes a house or work place just does not feel right, as if something strange is out of balance. Some areas may feel uncomfortable or cold, sticky and thick like treacle, and may even give you a sick feeling or a headache. Is the building stressed-out or traumatised? What happened in that space before you arrived? Where is the heart centre located and does the building have a soul? We will learn how to read the space and perceive how unseen energies reflect an owner’s or company’s belief systems and subconscious patterns, affecting those who live and work there. Using our minds and bodies as instruments to identify and connect with ‘stuck’ earth and etheric energies, we can clear and release energetic debris in buildings. Through Psychotherapeutic Regression, any soul fragments can be gathered together and taken back to zero point. This is done by clearing, re-aligning and reconnecting the building to its original blueprint, so that it remembers its original purpose. We will identify when a new function is needed, and learn how a new code can be programmed into its core memory. Christian will also share his experience of Geomancy using physical and metaphysical dowsing techniques. Connecting the geomantic energies of the land with the etheric matrix and Akashic field helps us to understand some of the energies we come across. For effective dowsing, our physical, mental and emotional bodies need to be in tune – as people, we are the instruments for dowsing and the devices we use are the tools. By ensuring the highest possible frequencies within us, we can serve others and the land in a more efficient and powerful way, thus ensuring our dowsing work achieves the most beneficial outcome. This module will introduce the harmonics of the universe, the sacred geometry of life. The sound of a room or building will change depending on the matrix of energies at play: vibrations emanating from the earth as well as the cosmos. Experience the transformational power of sacred instruments and the human voice. Tune into the nature of inter-dimensional spaces and the quality of earth energy lines and vortexes through their harmonic imprint. Discover the blueprint of different earth energies and learn how to make changes using harmonics. Feel how coming into alignment with natural law allows resolution of the most ‘negative’ of earth energies. We will explore the language of the ‘other’ worlds, ranging from the simple lost spirit, gentle ghost, to more malevolent negative energies. Learn how to recognise and tap into these energies that exist in the universe. There are many parallel layers and levels of existence constantly passing through our bodies and our homes. All we need to do is learn how to tune in to any particular frequency. Just like with radio and television stations, we will have a stronger attraction to a particular channel, the same applies with spirit and otherworldly energies. We discover that our own personal emotive story, including ancestral and karmic patterns, makes us more receptive to certain emotions and drawn to hone in on particular situations. 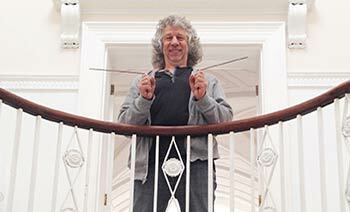 We will look at how to identify the energies in a space by intuitively tuning in and using the tools of dowsing. We learn how to connect with those beings who are stuck in spirit and why they did not pass cleanly through to the other side. We need to listen to their whispers and discover what they need in order to facilitate their release. Helping to release them depends on the person in spirit knowing they have been seen and heard. Often, if they are waiting for a loved one to return home, and do not know that many years, perhaps even hundreds of years have passed, they will never get resolution. By helping departed souls who have become stuck between this world and the next to realise their situation, we can assist in their release. As your home is an externalised mirror of your inner home, energy blockages in life will relate to parts of the building and certain rooms. Ghosts can attach themselves to furniture, art and other artefacts, even cars. Any spirits or soul fragments already residing in a house will cause greater disturbance when an occupant has a history of ‘attachment’ with a person they have been unable to let go of or has inadvertently been allowed to hang around. This can happen when a person has a fragmented or leaky aura owing to past trauma or abuse. Problems are compounded in the event of severe shock, which can upset the system at many levels and create a greater propensity for spirit activity. This applies both to the person at the time of passing, who may attempt to re-establish a union, and to the recipient open to experiencing an attachment or even being taken over by another. This is usually someone with whom they have an emotional or ancestral connection and have empathy, even if not in a good way. It can often take years for people in this situation to recognise what is going on, let alone know what to do about it. Yet at some level they may have always known, but were unable to talk about it or find the right person able to help. Even though a person’s issues may interact with the predecessor imprints in the home, they will be far more affected if their past carries a resonance to a matching story that activates what is being held dormant in the building. This touches on a not uncommon condition which I have come across when working with people; trauma follows you wherever you go until it is released from the person. This is really important otherwise it will sabotage everything in your life, not just the home you live in. Why this happens to some people and not others may be part of the karmic soul lesson or contract they have chosen in this incarnation. Living with an attachment to one or more aspects of a deceased soul is quite different from moving into a house where a disembodied spirit already resides. In many instances, there are other influences preventing a person from being fully settled or in charge of their own home. Not only do we find ourselves inheriting predecessor energies from the lives of previous occupants who have physically moved to another property, we may also encounter various spirit beings living in the shadows that have not even moved out. Spirit presence can become perceptible in many ways. We commonly find an accumulation of stagnant energies in just part of a house: a hallway, landing, library, and often in the bedrooms. Areas that feel especially heavy, cluttered, unusually cold even in summer, or are simply uncomfortable places to spend time, can draw attention to areas of our lives that are likewise becoming problematic. When people die and get stuck in between worlds, this often indicates a degree of trauma or sadness in their heart at the time of passing. Their spirit may not have fully released and as a result can get entangled in the web of fragmented non-sacred geometry in the energy matrix of our homes. Like the fly unaware of an approaching spider, they await powerless to initiate the next step themselves. A departed soul may still be attached to their home or a family member, or simply chooses to hang around through an emotional resonance with the current occupants, sometimes sharing quite uncanny synchronistic aspects of their life stories. A trapped soul is not actually confined to the past and neither is their presence necessarily a memory replay from their previous lifetime. Although they may have passed away many years ago, their soul remains very much in the present moment of the space-time continuum. This explains why discarnate souls can be seen, felt and communicated with in the now, yet behave with all the characteristic mannerisms of their former personality. Why one person may be able to sense or see them and another not, depends on their degree of sensitivity and vibrational resonance to each other. For myself, I sense spirit presence with both my physical and etheric bodies. Depending on the density of the veils that separate my perceived reality, the degree of transparency varies. Sometimes I glimpse shadows dancing in the light of day, or see a faint vaporous mist blowing gently in the wind. Spirit can be as elusive as a watermark on paper, or as solid as a real person with sharp, clear features, dressed in the costume of their own era. Finding out more about the history of the house can often confirm their identity. It can be devastating when previous occupants of your home have passed over, but you find their influence still very much present. To unconsciously soak up the mental imprint of energies from other realms will impact and shape your life, leading to the realisation that you have bought a house and ended up living the life of another. A deceased person stuck in spirit will continue to hold the values and beliefs from the time they passed over, perhaps many years ago. When a new owner or tenant comes along with good intentions for looking after the house, the deceased may still see it as their home and judge the actions of the present occupants from the perspective of their own time-frame, not appreciating the different generational approach or recognising cultural variations. It is not always necessary to release spirits or ghosts; to simply acknowledge lives on both sides of the planes can often be sufficient resolution in itself. We will explore the fundamental principles of feng shui; Christian has been using and testing the validity of many systems for over 20 years. We will look at what really works and why. Understanding conventional classical feng shui as well as the Black hat systems, feng shui ‘cures’, including the myth of the 3-Legged toad, allows you to create your own energetic solutions appropriate to any situation you find yourself in. Different cultures require solutions appropriate to the client. When a property has been sensitively addressed, there should be no signs that a feng shui consultant has been present, beyond experiencing a harmonious and balanced space. The Art of Placement: Form School Principles, furniture placement for best personal energy. The bed, living room seating, home office desk. Symbolism: Objects, artefacts, which connect us to the power of their meaning to us. Clutter: We consider the significance and effect of clutter and what the personal psychology is behind it. One cannot clear clutter unless the symbolic connection to its meaning is addressed and dealt with. The Bagua plan: The 9 areas of life and how this relates to our home. At a sacred site there is only stillness – no earth lines, Curry or Hartmann to disturb and bring into 3D vibration – only high frequency world allowing one to be still and connect to higher self. We explore the world of sacred sites and learn why sacred geometry in our spaces is so important for Health, Wealth and Relationships. Our sacred works of Art, Literature, Music and Buildings resonate with and reflect the secrets of the universal energy matrix. Deciphering the vibrational coding enables us to connect with the sacred patterns of the harmonic web, thus giving us the tools to connect with our pure inner light and consciousness for transforming our levels of reality. Christian offers the opportunity to explore and experience these hidden codes. Connect and work with the ‘DNA’ blueprint of the spirit of buildings and the landscapes using the power of the human voice through Sacred Sound, Harmonics and Sanskrit chant. Create Sacred Geometry Transformational Structures in the etheric energy web. Experience the existence of crystalline structures in the etheric energy grid and how these can be re-aligned and activated for powerful clearing and re-balancing of space. 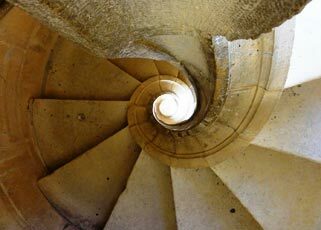 Our inner resonance reverberates at a level which attracts similar vibrations, see how this links to the land and buildings which we choose to inhabit. 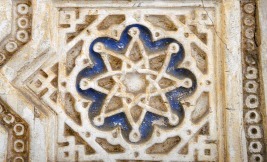 Through intention and ceremony, we can amplify the vibrational energy of the earth meridians on which buildings stand. Sending healing and light around the globe reminds us of the indivisible beauty and nature of all life. Sonic Vibrational Medicine Gong Bath, Quantum Healing & Light Body Activation. Christian will present a live audio visual experiential session; engaging us remotely in listening to the whisperings in the silence of space, listening to geometric shapes, the messages in the Akashic Field. Connect to the spaces in buildings, homes and in the landscape. Hear and experience the power of the underlying harmonics using musical instruments and our voices – this aspect may be limited when practised over the internet. The ‘cure’ to good health may be in the missing vibrations of your voice! Architectural space, landscapes and crop formations are pure expressions of number, geometry and harmonics. Hear and feel the emotion of how the architectural proportions of a sacred building translate to audible harmonics, making visible and audible the silent harmonic and geometric codes in the Alchemy of Space – the sacred harmonies of the ancients, taking you into other dimensions. With health, the ‘cure’ may be in the missing vibrations of your Voice! Land Shapes and Energetic Dynamics – the geographical undulations of land, from water to rugged mountains will shape our language and attitude to life. We will explore these dynamics in order to further understand ourselves and the clients we work with world-wide. We are the sound that our voice makes. Relationships – We are either attracted to someone through the resonance of similar frequencies and blueprint patterns or we seek healing through finding our missing notes through another person as they can make us feel good. Either way, it is useful to understand this process for ourselves as well as when working with others. Health – Life events or traumas can knock out certain frequencies and make us who we are. We are our sound. Our voice shows who we are and also who we are not. Sound carries knowledge at deep levels. The cure may be in the missing vibrations of your Voice! Cymatics – The Waves of sound hold shape in the invisible world. They can be seen in the vibration of sand on metal plates when sound frequencies are activated. Space is much the same, our thoughts are vibraations and they affect the nature of our space and thus the health and well-being of our home and working environment. Changing the inherent resonance of any physical material by means of its etheric phase patterning can make it softer and more malleable. This explains in simplistic terms how in the resonant field of buildings, quantum space-clearing can bring your home into align­ment with current time, or whatever time zone reality you might choose for it to inhabit. It may then become out of phase with its neigh­bours, still in their own time warp. If a house is living out a theatrical narrative from a past era, the residents will have chosen to perform as actors in a play, perhaps living in a dreamland as in the earlier story of the farmhouse. Conversely, when homes in the same street occupy different time zones, they may no longer be neigh­bourly towards each other. By aligning our heart harmonics, wavelengths and resonant frequen­cies with that of the place we wish to engage, we synchronise. This phase-locking makes us invisible or transparent as we unite with whatever we choose to merge with. We can then interlock our bodies with the cosmos and breeze through, just as horses may line up and canter off together in a field, or flocks of birds move in unison as if guided by a single consciousness. It is the biological component in combina­tion with the laws of physics that allows consciousness to morph and replicate in the natural world. The power of meditation or any other energy modality depends on one’s personal connection to the ultimate source. We all have access to an unlimited ocean of potential if our physical, mental and spiritual bodies are clear. We will explore and practice fine tuning our physical, mental and spiritual bodies using a powerful and potent set of tools which will enhance all that you touch: people, houses, the land and the creatures of creation. The chakras in our body are transformers of cosmic energy. They need to spin in a healthy state free of past energetic imprints which may have an effect on our present thoughts and actions. We will check and tune-up the energy fields in and around our bodies. Our degree of health will be improved by positive thinking. ‘Quantum youthing’ – pulling in memories of good happy times will re-mind our molecular structure and change our current state of being. Electromagnetic Fields (EMFs), Electro-smog, Personal Health, Healthy Spaces, Health giving foods and plants. Kinesiology: A system of muscle testing to check the effects of materials on the health of a person. Easy to use Calculation Charts will be provided for you to take away. No previous knowledge required. 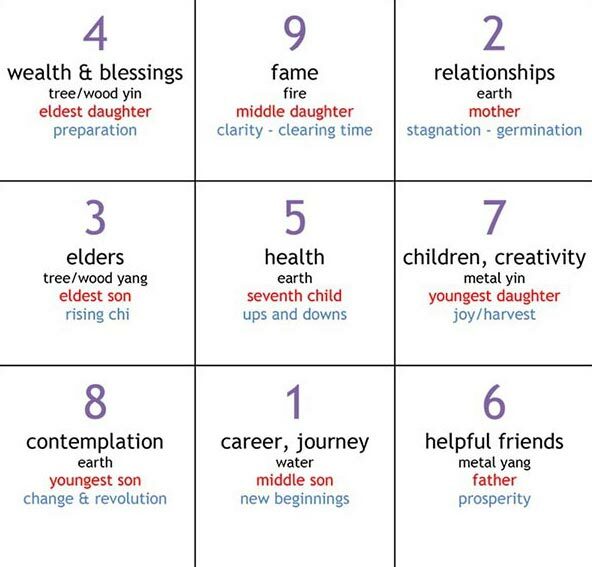 This Japanese system of astrology is based on the trigrams of the I Ching. The Ki Year starts on Feb 4th. Whilst Feng Shui is essentially about dealing with space, 9 Star Ki explores the cosmic dynamics underlying human interaction and emotions. It is primarily a study in the understanding of energy and time. It works by looking at our lives in 9 year, 9 month and 9 day cycles. When we were born determines our natal character, emotional nature and spiritual inclination. Within each 9 year cycle are periods of dormancy, planning, fame, activity and prosperity. Knowing your own Feng Shui astrology and where you are in your cycle in any given month or year can help you make the most of your natural potential. It can help you to plan events in life, career and house moves, financial, relationships etc. The principles are simple to understand and need no mathematical skills. During this workshop you will learn how to calculate your Chart and that of friends, partner, family and colleagues, and discover what can be expected during the next 12 months and beyond. Who you are in terms of the 9 basic characteristics. Where you are on your 9 Year Cycle. This fascinating insight helps you to determine when best to plan, initiate or undertake any major project or move. Relationships: how you relate to your partner and friends, to colleagues and people you do business with. Key Words: Psychic attack, shields of protection, energy signatures and blueprints. We will learn how to create, programme and dismantle energy shields in a responsible manner. This does not rely on blocking or getting rid of something, but is about changing the energy signature pattern of the ‘damaging’ activity and bringing it into phase-alignment with whatever is being harmed. The sacred space of our homes can become violated in many ways, from the physical or emotional to the extreme of paranormal interference. Intrusion of our locked doors and secure windows can be devastating, but the energetic bombardment from atmospheric energies and especially negative human thoughts, can be much more damaging. Protection from this metaphysical form of psychic attack is then required. It is, however, always advisable to try and resolve problems with those who may be directing negative thoughts and intentions towards you, assuming you can determine their identity. Just as a harmonic code is embedded into the soul of a building at conception, giving it a unique energy signature, protective coded structures can be programmed to surround a person, building or an entire region. There are many practices to do this. Shields of protection provide a powerful and effective form of psychic self-defence. Protection is not necessarily about preparing for battle, but essentially about strengthening your own energy fields. It is important to allow the natural energy to flow, whilst at the same time preventing any unwanted energies from passing through the structure of your shield. When a person puts up emotional barriers through fear as a subconscious form of protection rather than truly coming from a place of conscious connection, they too are likely to become blocked on all levels. Thus, protection from the standpoint of fear is of little value. We will learn how to create energetic protection shields programmed consciously in order to hold clarity and power. We start with a simple coded shield by imagining a fine gold wire mesh surrounding your whole body or house in the form of a sphere, with crystals at each of the node points, the crossing points of the mesh. We sense the boundary of the golden shield and programme the crystals with the intention that the structure can breathe to allow the natural energy to flow through. This is not a solid structure as in a warrior’s shield, but a web-like lattice grid that butterflies may flutter through freely. To effectively consult and help with other people’s lives, we must look at our own. Digging deep into our own patterns and diffusing all that is not necessary is an ongoing process. We will consider plans of our own home and apply what we have learnt in the previous workshop modules. People as well as land and buildings can become fragmented in dimensional time zones. This creates many issues of holistic integration of space and prevents us from feeling ‘at home’. We explore the nature of dimensional time and how to tune in to the various layers of perceived reality. Through Quantum Integration we can bring different realities into the present moment – the NOW. When our inner child or teenager is not integrated with our adult selves we can be prevented from being fully present. We are then unable to truly respond to ourselves as well as to others in personal, social or business relationships. Through understanding and witnessing our life stories which all have their own perceived reality, we can accomplish soul retrieval of our past, in this lifetime and beyond. Once integrated with that of the land and buildings, all is brought into harmony. We look at various ways of pattern re-coding, loosening up the grooves, through rhythm, drumming, and sacred sound. Activating our dna strands with original code pulled down from source is a powerful way of remaining positive and in good health and repairing damaged parts of our physical body. In this fascinating aspect of alchemical harmonics, Christian will share his experience of working with invisible space in and around our cities, towns and villages, and in our buildings including the entrance to our own homes! At the moment of inception the purpose of a building or town, its Ki Signature coded programme, is set in place and will run for its life-time and often beyond, even after demolition! A building may also have a programme created unintentionally through the subconscious desire dynamics of the architect/builder or owner, creating controlled entry to an area, a public building or even a home. The ‘programmed intention’ that is placed at the entrance will control the Etheric Gateway. Thought form programmed barriers and thresholds. Coming into alignment with purpose for entry into spaces, at the right time and place. City gates, village processional pathways, acceptance into the tribe. Asking permission to enter a space and being given the key. The codes – ‘No Entry’ without the right code. Tuning into the harmonic code – The Music of Space – harmonics, rhythm and melody. Awareness of ‘cosmic shards’ which cause a negative impact on land and thus not to be built upon for living. Creating invisible structures and testing them with dowsing. Portals into other dimensions of reality. Alchemical gateways for personal transformation. We will explore the reasons why some houses and other property do not sell. We will also look at the considerations in buying a home or commercial property, and whether it is the best match for us or our clients. When wanting to move house, what prevents or makes it difficult to sell a property? Quite apart from whether we think we chose the house we live in or that it chose us, I find one of the key reasons is that we have not completed our soul contract with the house – the purpose of why we were originally drawn there in the first place. People intuitively know that selling their home will create shifts in their lives and bring up unresolved matters that may be weighing them down. Subconscious issues they may be reluc­tant to recognise will inevitably need to be dealt with before a person can be released from their house and reach closure. To find a way of leaving without this resolution means they will simply be attracted to move to another property which carries the same familiar pattern. As we take our blueprint with us wherever we go, after a few weeks or months these old patterns will re-establish themselves in the context of the new house, resulting in the person being compelled to repeat the same cycle they thought they had left behind. Confusion of issues and purpose surrounding a potential move will also cloud the essential path of release. The message we send out into the world to attract a buyer needs to be clear and focused, other­wise we will attract a confused buyer and may end up with a messy sale or one that falls through at the last minute to the frustra­tion of all involved. One lady was so concerned about where she was going to move to that with a prospective job change, her daughter’s wedding and more going on, she created a very confused atmos­phere. As how a house feels is a key element influencing why people choose a prop­erty, in such circumstances what will a potential buyer relate to? Another significant reason why people find it difficult to sell a property or a sale falls through for seemingly no apparent reason is because of the energetic and psychological patterns within the house itself. The framework for these patterns originates at the outset from the earth energy grids at that location, combined with the energy signature of the building when conceived. This becomes further modified by the human interaction that has gone on in the property over time. Yet to reveal and overcome these deeply buried subconscious patterns requires the key to unlock the energetic code keeping you and your home in lock-down position. Fear of the unknown, together with finding somewhere suitable to move on to, can keep you rooted where you are. Individual needs and desires are expressed and translated through the homes in which we live. Most of us want to enjoy living in spaces that feel comfortable as well as look pleasing. The aim of developers and property agents is to sell houses easily in a short space of time, essentially to make a profit. During challenging market cycles it is therefore even more important that homes ‘for sale’ have the edge with the ‘feel good’ factor. Alterna­tively, being able to make our ex­isting homes more comfortable, nourishing and harmonious places to live, takes on an even greater importance. When making the decision to move to a new house, apartment or business premises, we need to know what to look for. What creates that ‘feel good’ factor, leading us to feel we can truly make it our own space? Given that we choose our homes according to our attitudes, belief systems and past patterns, our inner emotional issues are to a great extent projected towards finding the ideal place to live. In Module 10 we engaged in creating coded shields of protection. In this advanced module, we will now consider more complex aspects of coded programming. To take this one step further, whatever programme you choose to set for your coded energy shield, your visualisation will create the dimensional reality in both the physical and metaphysical realms. By creating geometric shields around the object in question and transforming the frequency wave harmonic to phase-lock with the energy signature of the house and its occupants, this effectively makes the damaging fields invisible, so they can do no harm. When creating your shield, any destructive energy that you seek protection from will know at some level that you are establishing boundaries. It may then attempt to re-establish the link and send its ‘hooks’ back into you. If you hold a power that others would like to tamper with for their own use, whether human or spirit entities and soul fragments, it is advisable to re-create your shield with a stronger coding. When you breathe to reinforce your shield, be aware that this can create a temporary gap in the etheric matrix, a way in for those who know how to try and find the gateway entrance to access your shield. So, be strong in your intentions and affirmations. The vulnerable aspect is that your light shield is there for the taking by those who are able to break the code to gain access, but it does not belong to others who seek to feed off you. You may choose to visualise a mirror to reflect the focus away from anyone who attempts to intrude on your space and disturb your peace. It is of little value to be drawn into their games or to engage in perpetuating manipulative battles. Language is a symbolic resonant set of codes that embody the laws of the universe and can shape the quality of space. In Sanskrit, the phrase naama rupa means ‘name and form’. The power of any language is in the spoken vowels and consonants. Each symbol or letter has a geometric shape with a corresponding sound, which activates intention and brings any thought or concept into manifestation. From this seed form, the programmed code explodes into creation as it unravels through harmonic vibration. The oldest known languages of Sanskrit, Sumerian, Aramaic, Hebrew and Greek are closest to the language of the universal mind, and deemed the most powerful. We encounter many forms of symbol energy throughout our lives, such as Greek letters used as scientific symbols, and more recently geometric symbols in crop formations, all influencing the energy grid matrix. The oldest known languages of Sanskrit, Sumerian, Aramaic, Hebrew and Greek are closest to the language of the univer­sal mind, and deemed the most powerful. We encounter many forms of symbol energy throughout our lives, such as Greek letters used as scientific symbols, and more recently geometric symbols in crop formations, all influ­encing the energy grid matrix. We will also consider forms of programmes which are created by others for damaging purposes, such as the intentional programming of objects placed in someone’s home. This is usually to control and influence the way they think or behave, ostensibly to gain some kind of benefit. A curse or hex is a form of programming that can be decoded in the same way as an energy shield. One needs, however, the ability to tune into the programme to perceive the active code before attempting to deconstruct it. When a house is built on a site that interrupts the natural flow of land energies, a disturbance is created at the point of interaction which disrupts and fragments the energy fields. The degree of disturbance will vary, depending on its strength and the personal issues of those living in the property. What is for sure is there will be challenges to health, wealth and relationships. One solution to avoid detrimental energy flows is to make the house ‘transparent’. The process of achieving this is by tuning-in to the energetic Ki Signature of the house and harmonic patterns of the land. By listening, witnessing and reading the common frequency signatures of both, then adjusting and merging them through fractal waves at a metaphysical level, this can effectively make the house invisible or transparent. The natural energy flow can then continue its fluidity of movement along the landscape as if the house was not there, thus diminishing any prior disturbance. The sacred space of our homes can become violated in many ways, from the physical or emotional to the extreme of paranor­mal interfer­ence. Intrusion of our locked doors and secure windows can be devastat­ing, but the energetic bombardment from atmospheric ener­gies and especially negative human thoughts, can be much more forceful and damaging. Protection from this metaphysical form of psychic attack is then required. It is, however, always advisable to try and resolve problems with those who may be direct­ing negative thoughts and intentions towards you, assuming you can determine their identity. Just as a harmonic code is embedded into the soul of a building at conception, giving it a unique energy signature, protective coded structures can be programmed to surround a person, building or an entire region. There are many practices to do this. Shields of protec­tion provide a powerful and effective form of psychic self-defence. Pro­tection is not necessarily about preparing for battle, but essentially about strengthening your own energy fields. It is important to allow the natural energy to flow, whilst at the same time preventing any unwanted energies from passing through the structure of your shield. When a person puts up emotional barriers through fear as a subcon­scious form of protection rather than truly coming from a place of conscious con­nection, they too are likely to become blocked on all levels. Thus, protection from the standpoint of fear is of little value. We will see how to create filters and not reply on blocking or getting rid of some­thing, but about changing the energy signature pattern of the ‘dam­aging’ activ­ity and bringing it into phase-alignment with whatever is being harmed. By creating geometric shields around the object in question and transforming the frequency wave harmonic to phase-lock with the energy signature of the house and its occupants. This effectively rendered the damaging fields invisible, so they could do no harm. We look at intelli­gent shields with ever-increasing com­plexity of coded programmes, according to the need of any situation. We will learn how to create energetic pro­tection shields pro­grammed consciously in order to hold clarity and power. We start with a simple coded shield by imagining a fine gold wire mesh surrounding your whole body or house in the form of a sphere, with crystals at each of the node points, the crossing points of the mesh. We sense the boundary of the golden shield and programme the crystals with the intention that the structure can breathe to allow the natural energy to flow through. 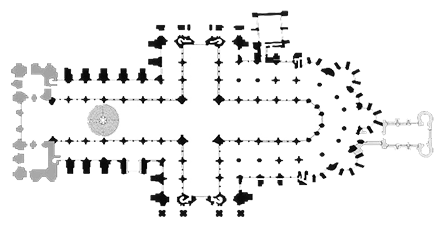 This is not a solid structure as in a warrior’s shield, but a web-like lattice grid that butterflies may flutter through freely. The module brings together all of the previous workshop modules and considers the dynamics of each part of the nine areas of life as in the feng shui bagua, and how they relate to our inner and outer home. We will examine the process of a consultation, both remotely and on-site with a client, in order to become familiar with how to investigate and draw out the ‘story’ which is embedded in a person’s subconscious. We need to gain sensitive awareness of the atmosphere or information in the ‘air’ – the memory of past happenings relating to the building and the land which is held in the etheric matrix. This knowledge of both the Akashic field and of the patterns of the occupants allows us to know how to deal with any situation and offer positive guidance for the client. We explore this process in terms of the 3 R’s – Reading: the factual and intuitive perceptions of a house; Revelation: sharing findings with the client and encouraging them to recognise the underlying patterns causing their problems, leading to an ‘Aha moment’, the first point of potential transformation; Resolution: help and guidance in resolving the core issues towards facilitating positive change for the occupants within their home or work spaces. Both people of a relationship couple being present for the full duration of the consultation day. Identifying which person (if a couple) is the key person who chose the home. Assessment of all factors covered in the previous workshop modules so far taken. There is no better way to gain experience of the theory of House Whispering than being part of a live consultation at a client’s home. No two situations are alike. You will learn how Christian runs a consultation by being with him for the day. You will not only observe but also take part in the entire process from the initial contact with the client, the journey to the consultation property, through to investigating the client’s issues. By exploring the client’s underlying problems and dynamics with the property and surrounding land you will see why certain guidance is recommended leading to resolution. Following on from the client consultation, we review the process and consider any questions in order to prepare you for your own consultations in the following modules. Following the on-site client consultation visit where Christian runs the session, you will now carry out the consultation for the day with Christian observing your process. 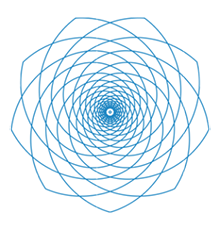 This is to ensure that all the knowledge gained from the Training Modules is incorporated for the benefit of the client to ensure best outcome. This includes you running the process from initial contact with the client – the journey to the consultation property – and the entire process of investigation of the client’s issues leading to guidance and resolution. Christian will need to be satisfied that you have reached a level of competence that he considers vital for Certification in order to added to The House Whispering Register of Consultants. Following the on-site client consultation you will now run another consultation remotely over a 3 way video link with a client from your own home. Christian will observe your entire process over the video link. This is to test and ensure that your psychic abilities are perceptive over the air-waves and for Christian to see if all the knowledge gained from the Training Modules is incorporated for the benefit of the client to ensure best outcome. This includes you running the process from initial contact with the client, and the entire process of investigation of the client’s issues leading to guidance and resolution. We will reflect on the entire set of Modules and what they have meant to us, how we have integrated them into our lives and ensure that we have understood the true purpose of being a House Whisperer. The granting of the CERTIFICATE for House Whispering. Yes, if you wish to understand the space around you and why it feels the way it does and what your relationship is to your home.